The Italian government created wine classifications to internationally safeguard the quality and authenticity of Italian wines. Altaneve wines are designated at the top of this hierarchy. D.O.C.G. (Denominazione di Origine Controllata e Garantita) translates to “Denomination of Controlled Origin and Guaranteed.” It is a hierarchical classification system created by the Italian government to safeguard the quality and authenticity of Italian wines. D.O.C.G. designations are reserved expressly for only the best Italian wines. As such, there are currently only 74 D.O.C.G. certified regions in Italy — one of which, Conegliano-Valdobbiadene, is where Altaneve is exclusively produced. What is a D.O.C.G. Prosecco? A wine can only be classified as “Prosecco” if it is produced within a specific area in Italy. This special Prosecco-producing area lies in the northeastern corner of Italy in the regions of Veneto and Friuli. 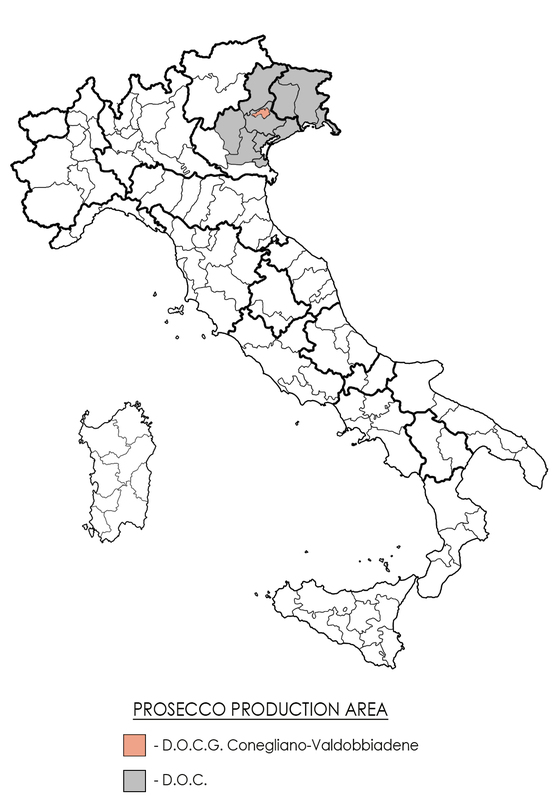 Within these regions, the Italian government recognizes two very different classifications for the wines produced here: D.O.C. and the much more regulated and highly-refined D.O.C.G. In the case of Proseccos, the D.O.C.G. area is a significantly-smaller sub-region of the larger and surrounding D.O.C. area. There are distinct differences between D.O.C. and D.O.C.G. wines especially when it comes to Prosecco. By and large, D.O.C. Proseccos are produced on flat plains; accordingly they do not possess the signature rich flavors or intense aromas of their D.O.C.G. counterparts which are grown on the vertiginous hills of the Alps. Another important distinction between the two classifications is that while the D.O.C.G. Prosecco territory has been producing Prosecco and refining its winemaking processes for over 1000 years, the majority of D.O.C. vineyards, by contrast, have only just been planted over the past 10+ years as Prosecco has gained worldwide attention and grown in demand. The most important distinction, however, concerns regulation. Unlike D.O.C. Proseccos, a D.O.C.G. Prosecco must first pass the Italian government’s strict analyses which include an expert tasting by a specially-appointed committee before ever going to market. Consequently, wines labeled “D.O.C.G.” are certain to have demonstrated their superiority prior to ever making it to your glass. 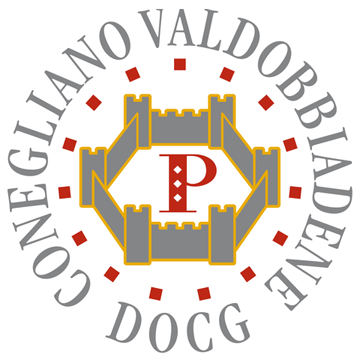 In 2009, Conegliano-Valdobbiadene Prosecco Superiore joined the elite list of Italy’s premium D.O.C.G. wines denoting it as the highest quality Prosecco produced in the world. Altaneve proudly carries this designation as its wines are exclusively produced in Valdobbiadene. In short, a label is worth a thousand words. If you wish to enjoy the highest quality of Proseccos make sure your label reads D.O.C.G. or, more specifically, Altaneve.